Most Pride parades commemorate the Stonewall uprising in June, but September (when students return) is our time to shine. Back in my day (popping teeth in mouth), it was half an afternoon with four or five speakers and one sister with a guitar singing protest songs. We waved tiny rainbow flags and went home. That was our Pride and we liked it. 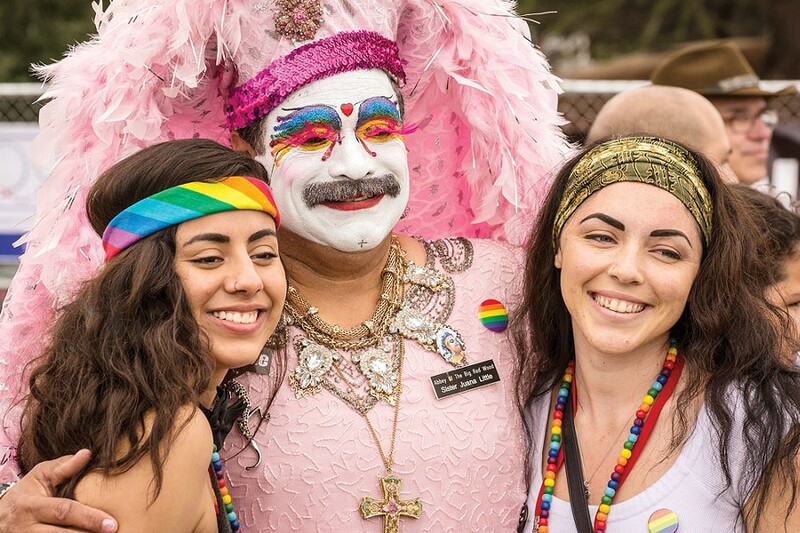 Today's Humboldt Pride celebration is a full week of events, with a parade, an all-day festival with multiple stages, booths, performers and music, and a sweat-drenching after party that goes way past my bedtime. Start off Vogue-ing at the Humboldt Pride Kick-off with Caravan of GLAM on Saturday, Sept. 3 at 9 p.m. at Blue Lake Casino ($25, $15 advance; $10 after 11 p.m. dance party only). Replenish at the Pancake Agenda Does Mack Town breakfast/social on Monday, Sept. 5 from 8 a.m. at Grace Good Shepherd Church ($10 adults suggested donation, $5 for children and seniors, free for kids 4 and under). Slept in? Hit the Brown Bag Picnic at noon the same day at Carson Park (free). Catch foul balls at the OUTfielders Pride Week Softball Game, Sept. 7 at 7:45 p.m. at Hartman Field (free) and follow up the next day at the Pride & Pie Mixer on Sept. 8 from 5 to 8 p.m. at Slice of Humboldt Pie (free entry). Then get down at the Humboldt Pride Warm Up Party on Friday, Sept. 9 at 9 p.m. at the Pearl Lounge (free). Hit the parade through Old Town Eureka on Saturday, Sept. 10 at 11:30 a.m. (free), winding up at the Humboldt Pride Festival from noon to 5 p.m. at Halvorsen Park (free). Not ready to go home? Stay out at the Pride After Party that night starting at 7 p.m. (all ages) at the Jam, with a 21 and up celebration at 9 p.m. (price TBA).